A fantastic everyday smoke crafted in the traditional Cuban box-press format, Nica Libre carries fine full flavor at a frugal price. 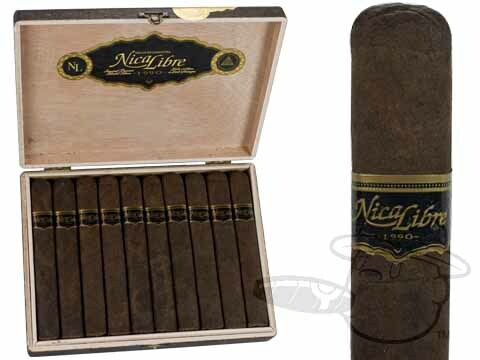 Handcrafted in Nicaragua, Nica Libre is rolled using a dark and hearty San Andres Maduro wrapper around a choice blend of Nicaraguan long-fillers and a zesty Habano binder for a well-rounded, premium smoking experience that won't break the bank. Expect a clean burn and easy draw along with pronounced tasting notes of earth, creamy cedar, espresso, and more.